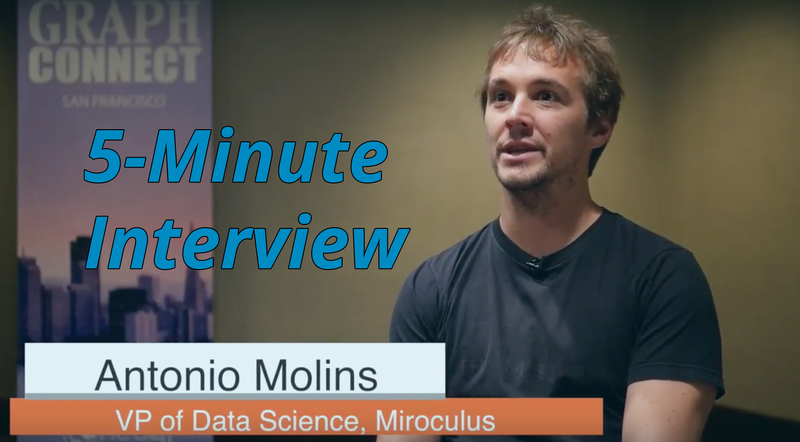 “We think it’s good to use the right tool for the right problem — and graph databases are the right tool if you are focusing on relationships,” said Antonio Molins, Vice President of Data Science at Miroculus. Choosing the right database for the right use case is a critical decision that, when made correctly, allows your data to reach its highest potential. In this week’s 5-Minute Interview (conducted at GraphConnect San Francisco) we discuss how this molecular diagnostics company uses Neo4j to sort through newly-available scientific data. Talk to us about how you use Neo4j at Miroculus. Antonio Molins: Miroculus is a molecular diagnostics company, and we are currently focusing on recently-discovered microRNAs. In order to make sense of all the newly available microRNA information, we are storing this high volume of data in a searchable graph database. Neo4j is a great fit for that. Molins: We really like the platform as well as the UI, even though we ended up building our own open-access UI in the end. We think it both performs and scales well, which is why we went with Neo4j. 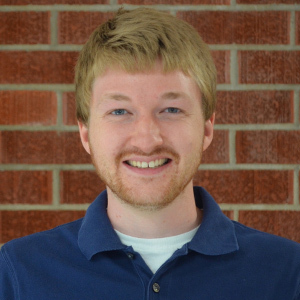 What are some of the most interesting or surprising results you’ve had since working with Neo4j? Molins: With Neo4j, the most interesting part is that nothing bad happened — it just worked. On the data front, we’ve made a number of interesting data insights for our company. Knowing everything you know now, if you could go back in time and start over again with Neo4j, is there anything you would do differently? Molins: When we first started using Neo4j we were only querying online and storing things locally instead of in a database. If we could start over again, we would have integrated Neo4j earlier in the process. Molins: We think it’s good to use the right tool for the right problem, and graph databases are the right tool if you are focusing on relationships. I’d recommend it for anybody with a similar use case.